The first one is a pretty clear call to action for those who are still on the fence with predictive marketing analytics. Marketers who are using predictive marketing analytics are already seeing improved business results and revenue outcomes. What’s also interesting is marketers who are using predictive analytics and predictive analytics technology their usage is not limited to a particular area of marketing. They have expanded the use of predictive analytics across all the business functions. Let’s let’s dive into some of those business functions as well. First, marketers would like to understand who are their top customers and how and when they buy. I think this is interesting because in B2B world marketing is all about getting the right contacts in your database and moving them across purchase cycle. Predictive analytics can help in reducing all the noise, focusing on key customers and at the end helping with the acquisition cost and conversion. Second, marketers would like to prioritize and deliver key contacts to the sales teams so they can improve their outcomes. What this also means is to find those contacts from the web using look-alike modeling. Salesreps want more leads and the marketers want to drive a lot more leads but I think with predictive analytics they can score the right types of leads using data points. So, when they deliver the leads they are prioritized instead of salespeople going through a list database of the thousand of leads per week. They can focus on those hundreds that have a better chance of conversion. Third, marketers would like to use the right marketing mix to optimize their advertising and campaign performance. Today, we have many marketing channels and we have different technology platforms. The buyers can come from mobile, offline and online trade shows, billboards or search. With all these different types of marketing channels it is hard to find the right mix. The question remains where can you invest the money between all these channels to get the optimal performance from my advertising campaigns. I think that’s a tough one as a lot of companies do a top to bottom approach to identify which channels give them the best return on investment verses which one’s give us the worst. Fourth, the ability to identify cross-sell and upsell opportunities across customer accounts. If you have a customer database then how do you identify the ones that have really high potential of buying more products from you are or are ready to upgrade their existing products and services. When you start looking into your customer database you will start using the data wisely and then you derive insights from it. Then, you know that some of your customers are satisfied and some of them are not satisfied. Some customers are going to stay with you longer and some of them are not. By applying the insights you will identify patterns to help you make educated decisions. Fifth and final, to improve overall customer engagement and increase customer longevity. Finally, according to the survey, 83 percent of the marketers who are using predictive analytics experience a high impact on their business results and revenue goals. Today, we are all dealing with the data explosion and data coming in all sorts of shapes and sizes. Not to mention from different channels. Then capturing the data and storing the data into a specific database itself is a technology challenge as you need a buy in from the leadership. You have to make sure you have the right piece of the puzzle in place and then you have to deal with the challenges associated with what you do with the data. How do you take advantage of it? I think this is where predictive analytics technologies allow you to take that data and drive insights from it. It can help you get a better understanding of your market and can help you solve some of the technology challenges and finally can can help you become better at measurement. These are some of the challenges marketers are facing which is either they don’t have a buy in from their leadership or they don’t have the appropriate technology to convert the data into actionable insights either. They are not disciplined in their metrics and measurement frameworks or they are lacking the advanced skills that are required to make use of this data. If your organization is prepared and have the right resources then you’re going to take advantage of predictive analytics to convert data to useful insights that’s going to help you achieve business goals. It’s also going to help you solve some of the technology problems and you may find out that you may not need the technology that you are really looking to buy. One additional thing I’d like to add is the lack of funding to move predictive analytics projects forward. The lack of funding that usually comes from finance or from the executive team saying you know we can’t really afford something like or this not something that we had in our budget for the upcoming year. However, if you do the math right and work with your technology vendors to identify the value, business use case, the return investment or the total economic impact you will get funding quickly. We have discussed this in podcast#12 is this idea that you know you need to be able to sell internally. One final note before we move to #3 is 86 percent of the marketers who are using predictive analytics have been able to identify new market opportunities. This is exactly what we’re saying when you use that data and you apply predictive analytics who are always going to find new insights. 86 percent of the marketers are identifying new markets. What it could mean for you is expanding geographically or maybe expanding to a new product or service line that they were not thinking about. We discussed how traditional marketing was done and there was a clear lack of technology usage and now the marketing technology industry has exploded. What’s happening is there are thousands of different types of marketing technologies available. We however encourage marketers to always focus on the key technologies that’s going to help and benefit the most in the organization. For example, CRM, marketing automation, social media, retargeting, business intelligence or campaign management and all of those core tech stack products they can use to replace legacy infrastructure with a cloud based scalable stack. Most marketers are focused on these initiatives. Then what happens is they start thinking about predictive analytics and they definitely want to build their predictive analytics stack. Infact, as per the survey, 61 percent of the companies have already implemented some type of predictive analytics technology. However, a lot of the companies would like to invest in predictive technologies but they don’t have a clue how to get started. So, most of the time they’re going to de-prioritize and list predictive analytics as the last piece of their marketing technology stack. The approach is we’re going to get to it once we take care of this other stuff and improving our base infrastructure. I agree, you need the basics, you need CRM and you need your marketing automation but don’t put your predictive analytics at the end. Make sure it’s somewhere in the middle so when you take care of your core technologies you get to the predictive analytics technology early in the process. Now if there’s a lot of marketers that are saying “I have no idea where to get started”. We have discussed this topic in our podcast#8 with the title “How to Hack the Digital Marketing Technology Stack” . 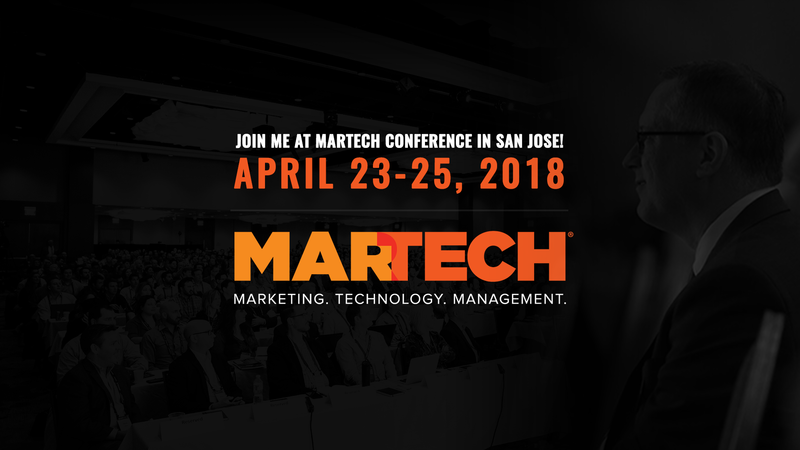 Additionally, Scott Brinker usually gives out the stack awards at his MarTech conferences. If you go look at those stack awards he pushes out 20 of the best stack out there and you can use it to build your MarTech stack with the right type of predictive analytics technologies. You will also notice how predictive analytics is really critical to the success of a bunch of these marketing stacks. Predictive analytics not only helps with bringing in new customers and solving top of the funnel issues but also helps keeping them. You can use predictive analytics to engage your customers and make sure that they are getting the right type of touches from your brand and are not too busy looking at other competitors. Your customers lifetime value with your brand is what really matters at the end and it’s almost like a dating life right. You impress a girl to want to meet them and to get them to go on a date with you and then after that what do you do? Ignore them? You don’t do that. You got to keep up the courtship in the same way with your brand or the company. Let’s discussed how you can use predictive analytics technology across your funnel. a. Identification of cross-sell – upsell opportunities: The first area of focus is identification of cross-sell/up-sell opportunities. How do you identify the customers that have a bigger chance of buying more products from you or upgrading their products and services? As an example, Fiat used IBM SPSS and predictive analytics to identify buying cycles of their existing customers. With the use of predictive analytics, they were able to differentiate between customers who may are more likely to repurchase from them. This improved their cross-sell response rate by 15-20% and improved loyalty by 7%. What’s interesting is this idea that more historical data you are able to get from these top customers and add to your predictive analytics tools, the greater outputs and analysis it will deliver for future customers. b. Recognize news ways to improve customer engagement: Another area where predictive can help is improving customer or prospect engagement across the funnel. If you have a customer you are trying to send email messages to or send social media messages to then you’re going to rely on their activity data from your marketing automation platform. For example, they downloaded content or they visited your website or a particular or watched a video. All of the marking automation tools such as Marketo, HubSpot or Pardot use activity or behavior data to score your prospects and move them down the buying funnel. The activity and behavior are extremely important but when you pair that activity or behavior data with predictive scoring models using indicators such as their social media activity, their financial filings, you’re going to see a dramatic improvement in the customer engagement and you are also going to be able to move the customer faster along the funnel. It’s also going to give you the ability to build new tools and technologies to serve the customers. For example, Duke university launched a health view website and app powered by predictive analytics for their customers. Prior to launching this new app the customers were not engaging with their brand outside of the physical location. Post launch, the customer engagement with the brand went from nearly zero to 300K. HealthView is now used by more than 150K patients saving hospital ton of resources and time while still delivering improved customer engagement. c. Increase loyalty and customer experience: The last area where predictive can help is loyalty and customer experience. Finally, when you are able to use predictive analytics to impact not only your revenue but also keep the customers for a long time by delivering fanatical experience. One of the exercise we did in one of my past companies is we were able to apple predictive analytics on our customer support ticket data, market share response rate, growth data and we build a churn prediction engine and revenue growth indicator. We were able to see which customers have a higher propensity of churning. We were also able to see which customers have a higher propensity of growth. Massive data crunching helped us build a tool that we can use and reach out to the customers and say hey you know we’re just going to offer you better services because of you know maybe are creating a lot more tickets. By marketing infrastructure we mean is all the tools, technologies and processes that you have in place to facilitate your marketing. It includes your foundation CRM application, on top of that you have your analytics piece you, then you have your attribution piece, then you have marketing automation platforms and then your social media your web site infrastructure stack. What’s very interesting is the survey points that companies who are using predictive analytics are either more advanced or they’re getting really advanced in terms of marketing technology usage or ownership. You can look at this insight in two difference ways. One way to think about this is predictive analytics is being used by companies who are already advanced in their core marketing infrastructure. Another way I look at it is I think if you apply use predictive analytics early on then you are going to see a faster marketing infrastructure maturity due to better data usage. Instead of taking five years to get where you really want you can get there in two to three years because now you are driving actionable insights faster. You may see that you don’t need that new tool in the market because you’re already doing some of this internally by using pretty minimal technology and maximizing data. This gives you a leverage and efficiency because you are data wisely and you don’t need all the stuff that you originally thought you need to build your marketing technology stack. Finally, with this post and show our intention was to focus on the underlying details and ignoring the high level facts. If you are interested in the survey statistics we would encourage you to checkout the Forrester survey. Now take action and listen to the podcast for a meatier and detailed action plan.